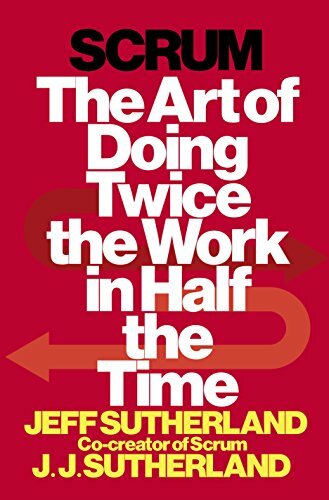 Mar 13 Top Takeaways From the Book "Scrum: The Art of Doing Twice the Work in half the Time"
Immediately start the next sprint cycle , taking the team's experinece with impediments and process improvemnt into account. Change or die. Clinging to the old way of doing things, of command and control and rigid predictability will bring only failure. In the meantime , the competition that is willing to change will leave you in the dust. Fail fast so that you can fix Early. Corporate culture often puts more weight on forms , procedures and meetings than on visible value creation that can be inspected at short intervals by users. Work that does not produce real value is madness. Working product in short cycles allows early user feedback and you can immediately eliminate what is obviously wasteful effort. Hesitation is death. Observe ,Orient, Decide, Act. Know where you are, assess your options , make a decision and act! Shu Ha Ri. First, learn the rules and the forms and once you've mastered them, make innovations. Finally , in a heightened state of mastery , discard the forms and just be- with all the learning internalized and decisions made almost unconsciously. One meeting a day. When it comes to team check ins , once a day is enough . get together for fifteen minutes at the daily stand-up, see what can be done to increase speed , and do it. Half done is not done.A half built car simply ties up resources that could be used to create value or save money. Anything that's " in process"costs money and energy without delivering anything. Don't be unreasonable. Goals that are challenging are motivators: goals that are impossible are just depressing. Work the Story. Think first about who'll be getting value from from something, then about what it is , and then why they need it . Humans think in narratives , so give them one. Know your Velocity. Every team should know exactly how much work they can get done in each sprint . and they should know how much they can improve that velocity by working smarter and removing barrier that are slowing them down. Its the journey, Not the destination. True happiness is found in the process, not the result. Often we only reward results but what we really want to reward is people striving toward greatness. Secrecy is poison. Nothing should be secret. Everyone should know everything and that includes salaries and financials . Obfuscation only serves people who serve themselves. Make Work Visible. Have a board that shows all the work that needs to be done , what is being worked on, and what is actually done. Everyone should see it and everyone should update it every day. Happiness is autonomy, mastery and purpose. Everyone wants to control their own destiny , get better at what they do , and serve a purpose greater than themselves. The product Owner. He or she translate vision into backlog. He or she needs to understand the business case, the market and the customer. He or she has knowledge of the domain and the power to make final decision. He or she is available to answer questions and is accountable for delivering value. Observe , Orient, Decide, Act (OODA). See the whole strategic picture , but act tactically and quickly. Scrum Accelerates all human endeavours. The type of project or problem doesn't matter- scrum can be used in any endeavour to improve performance and results. Scrum for Poverty. In Uganda, the Grameen Foundation is using scrum to deliver agriculture and market data to poor rural farmers . The results: double the yield and double the revenue for some of the poorest people on the planet.